In the news recently there were reports of several dogs dying in Dartford, with many other dogs found to be very ill. The common link was a particular lake they may have drank water from. At the time vets were unsure what could have caused the problem and the lake was closed to the public by the Environment Agency so tests could be made. 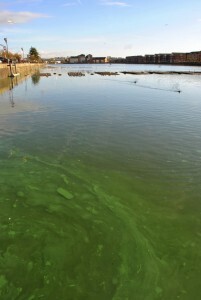 It is now thought that poisonous blue-green algae may have caused the death of the dogs. 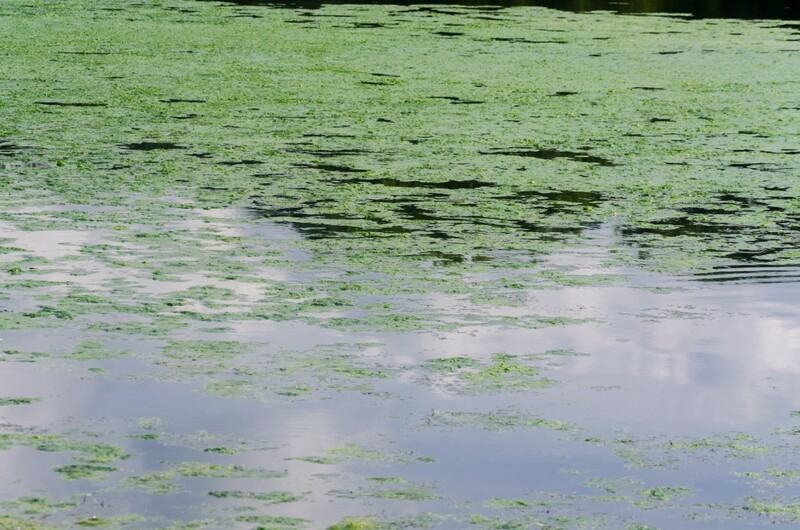 The blue-green algae are microscopic bacteria and can be found in freshwater lakes, streams and ponds. They produce toxins that can affect animals and humans who drink the water or swim in it. Blooms of algae normally occur when the weather is hot so you would expect to see it mid to late summer. However, as the British weather is unpredictable blooms could appear sooner if we have had a warm Spring. Sometimes it can be obvious there is blue-green algae on the water, however there will be bodies of water that look clean but are either just starting to bloom or the algae is dying off. It is advisable not to let your dog swim or drink from unknown water sources. Also, be careful with lakes/ponds/streams that you know and have let your dog swim in or drink from before. If they have been for a swim, we suggest you wash them thoroughly afterwards and keep an eye on their health. If there are any changes, no matter how small take them to a vet as soon as possible. If you have any questions about this subject feel free to either call the clinic on 01268 533636 or leave a comment on our Facebook page. Someone will get back to you asap. Next PostNext Why do dogs eat grass?